The routing of the extension of Superhighway 3 along the Westway has now been formally cancelled, as reported by Ross Lydall, confirming what had already appeared to be a certainty as long ago as last year. The news has been greeted with the re-hashing of some misconceptions about that Westway route. Given this bit of (potential) cycling infrastructure is now destined to never appear, there is an element of ‘flogging a dead horse’ in tackling those misconceptions – but despite the cancellation, I think it’s valuable to look at them in turn, because they have relevance for cycling infrastructure in general. So here we go. The Westway is undeniably a very busy road, and cycling in close proximity to dense flows of motor traffic on an overpass sounds, at face value, like a pretty unpromising experience. Indeed, the initial visualisations for this route were problematic, with people cycling on this section of CS3 separated from motor traffic by an armco barrier, and nothing else. But later visualisations – and indeed design details – showed that the separation would be much more substantial, consisting of a concrete base and glass noise screen. From the cross-section design detail, this barrier would have been higher than the height of someone cycling, as described in this post from last year, by Alex Ingram. As it happens, I have some experience of cycling along an almost directly analogous cycle path – a relatively exposed cycleway, on a bridge over the Waal river, beside a very busy road, with precisely this kind of barrier between me and motor traffic. I can report that it was definitely not an unpleasant or horrible experience. You are certainly aware of motor vehicles (including HGVs) whizzing towards you on the other side of the screen, and can hear them, but the noise is enormously reduced. You are essentially insulated from them, and I was free to enjoy the views across the river to the city of Nijmegen as I pedalled across. If the Westway route had been built like this, then it would have been absolutely fine, at least in terms of separation from motor traffic – certainly much more pleasant than, to take an example, the existing separation on CS3 along Upper Thames Street and Blackfriars Underpass. A related criticism of the Westway route is that it would be socially unsafe due to the length of route without any entry or exit points – just under 2 miles between Westbourne Terrace and Wood Lane, all on the overpass. Again, the bridge shown in the above photograph is almost directly analogous, running for 2.7 km without any entry or exit points, with the exception of one pedestrian step access point, to a man-made island in the middle of the river. I am, of course, a man, so not best placed to judge social safety, but on the times I’ve cycle across this bridge – including late in the evening, as in the photograph, it was far from my mind. The bridge was relatively busy with people cycling in both directions, and I suspect the same would be true for the Westway cycle route, had it ever been built. Given the total lack of safe routes into and out of central London from the north-west of the city, it would have been in demand, and I doubt it would have felt as isolated (and therefore as unsafe) as critics have implied. This is a slightly better objection – if we want to enable people to cycle from the Lancaster Gate area north of Hyde Park, over to White City, then surely there must be a better route – one on the surface – compared to sticking people up on a 1960s flyover? Indeed, I’m inclined to agree – I would in all likelihood prefer to cycle on a genuine high-quality, Dutch-style cycleway (of the quality of CS3 and CS6) through Kensington and Chelsea. Likewise, I’m sure Transport for London were inclined to agree too – so why did this route end up on the Westway in the first place? The simple answer is that the ‘Westway route’ runs entirely along roads controlled by Transport for London. They would therefore have had control over implementation, and wouldn’t be at the mercy of recalcitrant boroughs and their potential objections. The Westway route was chosen specifically because it allowed the cycleway to completely bypass the borough of Kensington and Chelsea, and roads controlled by that borough. For context we should recall that Superhighway 9 – also running west, but on RBKC roads, has been completely canned in that borough because the council objected to protected cycleways of any form running along Kensington High Street. This doesn’t inspire confidence for any potential East-West superhighway route running through Kensington and Chelsea on borough-controlled roads, and largely explains why TfL opted to take an easier path and avoid the borough completely. This is confirmed by Andrew Gilligan. Now, of course, it turns out that the newly-proposed alternative to the ‘Westway route’ is precisely on those RBKC roads – past Notting Hill Gate (where a recent ‘vision’ consultation failed to consider cycling altogether) and down Holland Park Avenue, before heading across the Shepherd’s Bush gyratory and up Wood Lane. 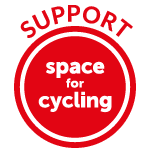 It is entirely possible that a high-quality scheme can be delivered along this route – these are, for the most part, very wide roads – but the history of RBKC and cycling infrastructure doesn’t do much to foster optimism. The other problem with this objection – that the Westway isn’t the best route – is that the Westway clearly shouldn’t be the only ‘route’ in this part of London. Discussing where ‘the route’ should go misses the point that enabling cycling involves delivering networks, not just isolated routes from A to B. To that extent, the Westway should be just one route among many. All the main roads in this part of London should also have cycling infrastructure on them, and we shouldn’t be forced to choose between them. Putting a cycle route on the Westway doesn’t mean giving up on all other roads in the area. It should complement other ways of getting around this area, not be the sole way of doing so, and should therefore be considered on its own merits. For instance, for people who live in and around White City, and who might want to head east towards Regents Park, Euston, and Bloomsbury, the Westway would obviously be a useful cycle route (and likewise for people heading in the opposite direction). The new proposed ‘Superhighway’ route would be rather less convenient for these kids of trips, taking people south towards Shepherds Bush, before leaving this new ‘Superhighway’ route at a point of their choosing to head north again. There also remains the awkward question of what happens to people cycling north from Lancaster Gate on the existing stub of CS3, who will now arrive at a motorway-style junction with nowhere else to go. So in answer to the objection that ‘the Westway isn’t the best route’, perhaps the best answer is that ‘the Westway should simply be one route among many, not the sole route’. Or, given it isn’t going to be built now, would have been one route among many. Maybe it should – it’s a ridiculous stub of motorway-centric planning, one of the small bits that actually ended up being built in central London. But as ‘tearing down’ doesn’t appear to be on the cards any time soon, the most immediate short-term choice is not between tearing the Westway down and keeping it up, it’s between having a Westway as it is now, or a Westway with less capacity for motor traffic and a useful cycle route on it. Or, at least, that would have been the choice. In any case, the notion that putting a cycle route on the Westway is ‘bad’ because the Westway shouldn’t even exist in the first place is, frankly, deeply silly. (If anything, putting a cycle route on the Westway would partially strengthen a case for removal, by permanently reducing traffic capacity on it). This is an objection that is almost entirely addressed by the ‘route-based’ point above. The East-West Superhighway didn’t end up on the Westway because of ‘ego’, but because it was a route of last resort. While it did generate headlines, partly because of the symbolism of putting cycling infrastructure on central London’s most car-centric piece of infrastructure, this was actually the path of least resistance, the one least likely to generate difficulties and opposition. Indeed, almost the complete opposite of an ego-driven choice. By contrast, attempting to create a high-quality cycleway route on roads controlled by the London borough that – until now – has proven extremely hostile to high-quality cycleways on main roads is, on the face of it, extremely impractical. I remain hopeful, of course, and I would absolutely love to see excellent cycling infrastructure come to fruition along these roads in Kensington and Chelsea (and in Hammersmith and Fulham). The Westway, however, would have formed a useful route in its own right, and could already have been under construction, in parallel to any proposed plans for roads in these boroughs. This entry was posted in London, Superhighways, Transport for London. Bookmark the permalink. A sad case of losing what could have been useful if imperfect for the possibility of what will probably be a highly compromised scheme some time well in the next decade or so. The Mayor needs to use TfL roads for cycle schemes if boroughs refuse to provide high quality schemes on the roads that they control. Yes—and also if they don’t, too, as the post body intimates. Given that RBKC’s attitude to cycling is largely indistinguishable from it’s attitude to housing undesirables, it’s a bit surprising that nobody is calling for its motoring facilities department to be ‘kept an eye on’ as well. The cycling deaths on its roads are spread out spatially and temporally but there are plenty of them and the council is just as indifferent. GLA have the power to take over any, or indeed, all highways from London district councils either by mutual agreement or by application to DFT. Presumably, this doesn’t happen because the permanent civil servants who run TFL are only slightly less anti-cycling than their counterparts at RBKC and the current arrangement is useful for circular blame-passing purposes. What’s frustrating is the Westway at the moment has had its hard shoulder, in both directions, fenced off with concrete barriers. I don’t know why; and it’s happened recently so doesn’t appear on Streetview. There is plenty of space between these new concrete barriers and the old perimeter Armco for one-directional cycling, on both sides. All it needs are on and off ramps. That’s the investigatory and preparatory works for the refurbishment of the Westway structure (and following Marylebone flyover) which are set for 2018-2020. It it is this refurbishment that the superhighway plan was to take advantage of, and it is of some note that it appears that it would not complete until 2020 (which seems later than earlier TfL estimates). You might say “ah well, perhaps it is better that CS3 goes another way” but it appears that the realigned project would complete by 2021 on TfL’s current timetable. Is this the same Westway which had a separated cycle path running alongside it in the 1930s? I presume this is a more modern road (1960s?) but maybe… ? The continuation of this scheme is along that Westway, when it was known as Western Avenue. Westway itself was a later scheme in the 60s/70s to extend Western Avenue to meet Euston Road. A shame. A nice direct route gone although the levels of pollution would have been a concern.